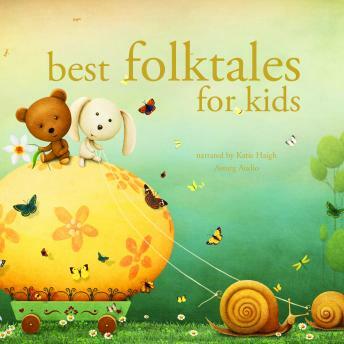 We have collected for you the best folktales ever written, from medieval English stories to the French fairy tales of Charles Perrault and the elegant Danish stories by Hans Christian Andersen. Enjoy these timeless gems, which had been handed down for centuries before being collected in writing, and shared for their wit, inventiveness and educational value. The Three Sillies, Thom Thumb, The Three Little Pigs, The Snow Man, The Fox and the Cat, Teeny Tiny, The Story of Pretty Goldilocks, The Little Shepherd Boy, The Mouse and the Sausage, The Sweet Soup, The Three Brothers, Bluebeard, The Ugly Duckling, The Wolf and the Fox, and the Story of Caliph Stork.